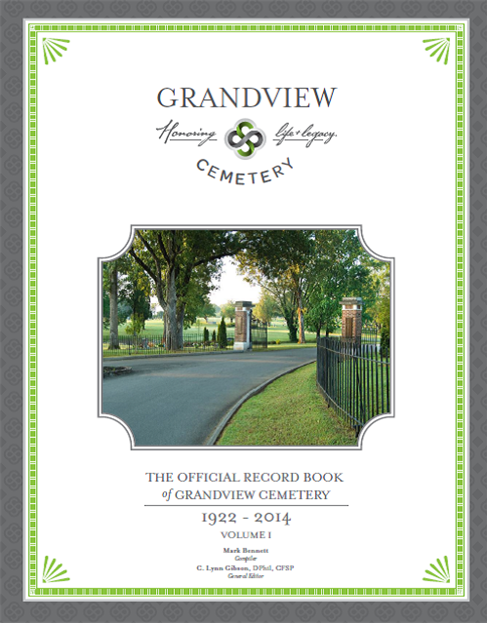 This beautiful award winning book, written by Dr. Lynn Gibson and Mark Bennett, is the official record book for Grandview Cemetery. 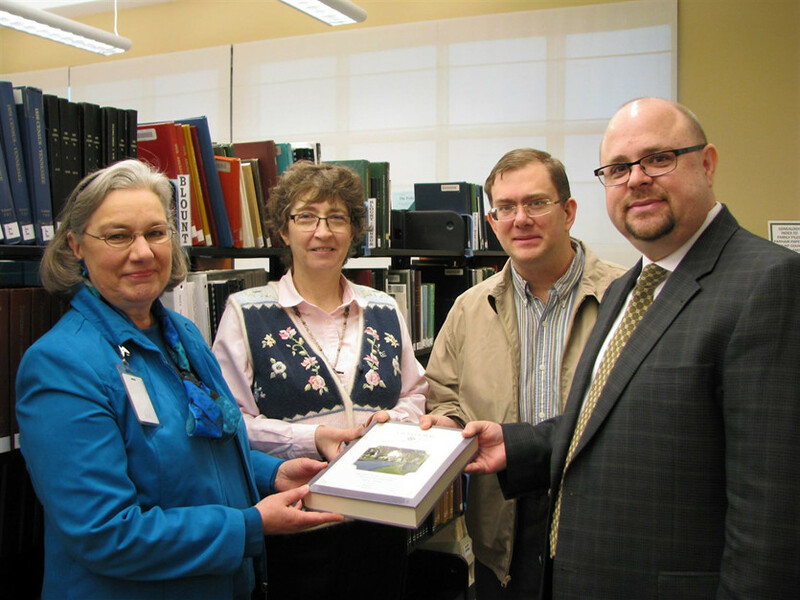 The book provides information about the cemetery from 1922-2014. The information provided includes an alphabetized list of the cemetery records through the first 92 years. Also, the book provides a brief history of the cemetery, including historical points of interest and cemetery development since its beginning. Call us or stop by our office if you would like to order your own copy 865-982-3730. You may also order a copy from Amazon. Mr. Mark Bennett, a native of Blount County, graduated from Alcoa High School in 1997. He later earned a bachelor of science in mathematics from the University of Tennessee in Knoxville. 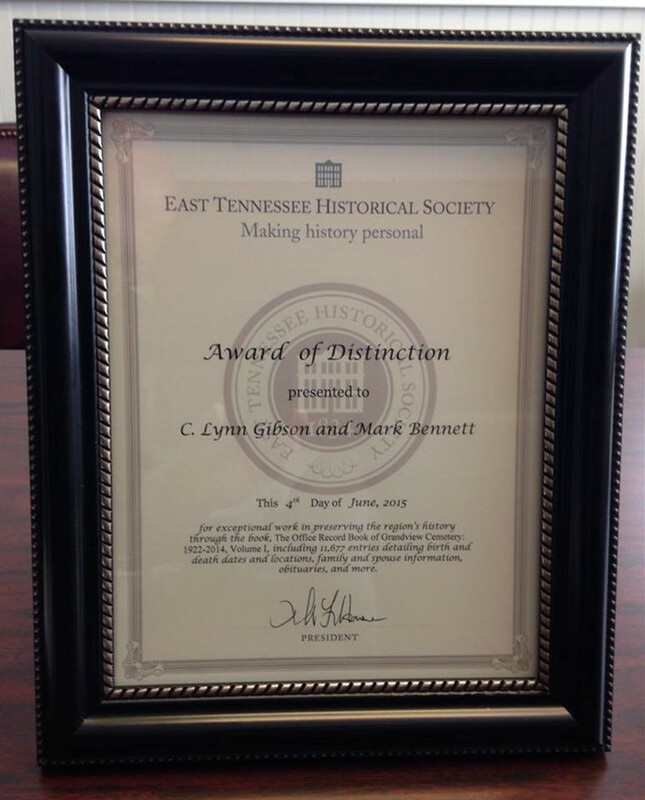 Mark’s passion is genealogical research and has published several articles in various genealogical journals pertaining to East Tennessee. Mark is the seventh great nephew of Governor John Sevier, the first governor of Tennessee. Mark’s paternal grandparents are buried in Grandview Cemetery as well as several of his aunts, uncles, and cousins.